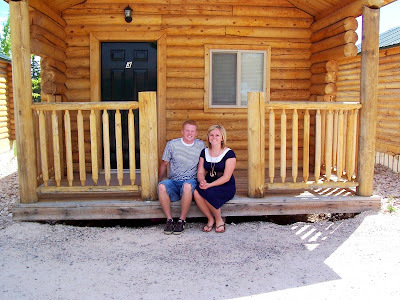 me and him: Sunshine & Summertime--Bear Lake Addition. Sunshine & Summertime--Bear Lake Addition. location: Bear Lake Country Cabins. delicious dinner night 1. photo at the North Beach day 2.
first thing's first. Audrey & Lane jumped on the row boat....just as soon as it was filled with air. our little day camp sight. boys are boys are boys are boys diggin for shells. fun & games night 2.
in front of cabin 3 for a photo day 3 after church. day 3, a fun little detour to Logan and a long overdue reunion with my roomies (minus 1. miss ya Katelyn.) it was sooooo great to see them! these are some of my favorite friends. we MUST meet in the middle one weekend soon....before snow starts to fall and ice the roads. p.s. missed ya Colemans. can't WAIT to see ya'll at Christmas time! Looks like you had fun at your family reunion. You guys are serious vacationers. Aren't you going to Mexico soon too? uhhhhhh-don't your remember taking that pic? he was totally flexing for the camera. he makes me laugh daily. Jason always looking like a Stud! I haven't posted a thing from Bear Lake only because I forgot my camera. Mom and Audrey sent me pics from their cameras, so feel free if there are some on your camera that you think I need. Thanks Sis. I really liked your dress on Sunday. Very cute. Hey, I like that song....I think it says mushaboom. Cute post and I'm glad you got a picture of the raft. That was one good little vessel. Have fun next week in Mexico. (not fair) Fun honeymoon for sure! Lake Powell, Bear Lake, Mexico....I'm such a looser. Wow, you guys sure stay busy! I don't think I have really gone anywhere this summer! Maybe I need to start hanging out with you guys! :) I love your blogs, you keep me laughing! Bear Lake was a blast!! Hope you guys have a ball in Mexico! !